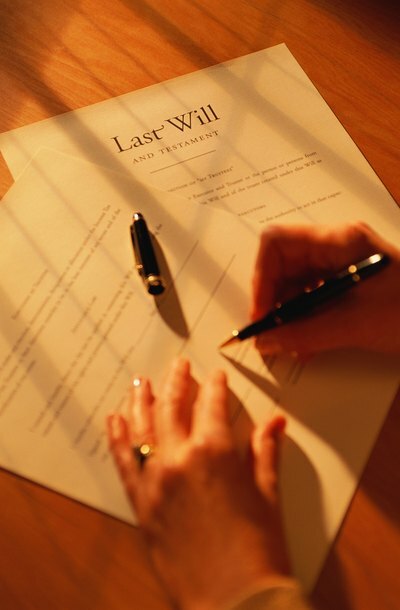 A will is a legal document that directs where your property will go after you pass away. If you are married, your freedom to decide who gets what is limited only by the spousal elective share, which by law gives your spouse the right to take at least one-third of your estate even if your will indicates differently. However, South Carolina law does not provide children with an elective share -- and you may choose to leave them nothing. State law does not mandate that you include specific language in your will to effectively disinherit your children. However, it is good practice to at least state the names of your children and note that you are leaving them nothing. This can avoid confusion and would defeat any later claim that you intended to provide for the kids in your will but simply forgot. Keep in mind that South Carolina law does give your children the right to claim an inheritance in the absence of a valid will. This right is based on state intestacy laws, which direct that your children inherit all your property in the event that you pass away without a surviving spouse. If you leave a surviving spouse, the children are still entitled to one-half your estate if you don't have a will. For that reason, it is essential that you execute your will according to all the formalities provided by state law, which require that a will be in writing and signed in the presence of at least two witnesses that do not stand to inherit anything under the will. If your children stand to inherit more if your will is thrown out, they may attempt to raise challenges to the will after your death. For example, they might challenge that you were not of sound mind or lacked the mental capacity necessary to make a will. To guard against this challenge, it is helpful to obtain a medical or psychological evaluation right before you execute the will and keep this record with your will paperwork. Another basis for challenging a will is undue influence, which occurs when someone exercises control over the person making the will, resulting in the will being a product of coercion. For example, if your children were in your will for many years and then cut-out very close to your death in favor of a caregiver, this change could be viewed with suspicion. If you want to make a major change, it is helpful to document the reason for the revision -- and do not have anybody who stands to inherit present when the new will is executed.